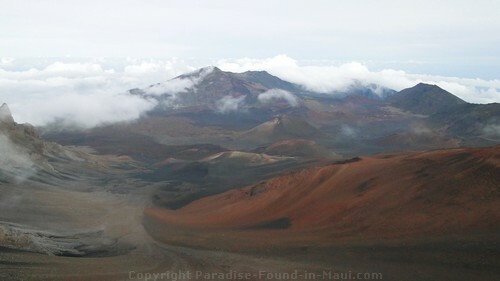 A Haleakala National Park MUST-SEE! 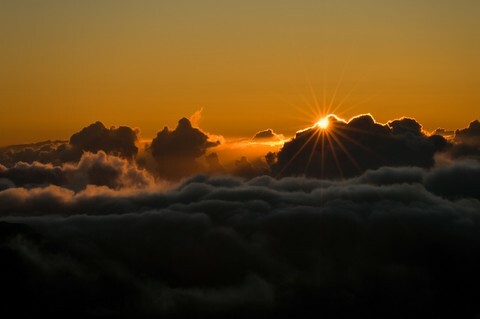 A trip to the Mt Haleakala summit will be the kind of experience you don't expect from a tropical vacation. The summit is as UN-tropical as it gets! But don't let this deter you from a visit here. 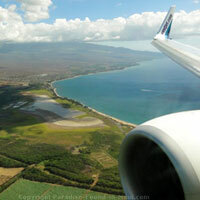 The view from the top is absolutely breathtaking, and well worth the time on your Maui vacation! Here is what to expect, attractions, tour info, and 5 tips for your trip! One of the most talked about attractions at the summit is the sunrise. What better place to see this than at the "House of the Sun?" The only catch is you have to get up outrageously early to see it - the sun rises anywhere from 5:38 to 6:58 in the morning up there. If you go, you can either book a tour, or drive yourself. View the Crater at 9740 Feet - It's Magnificent! 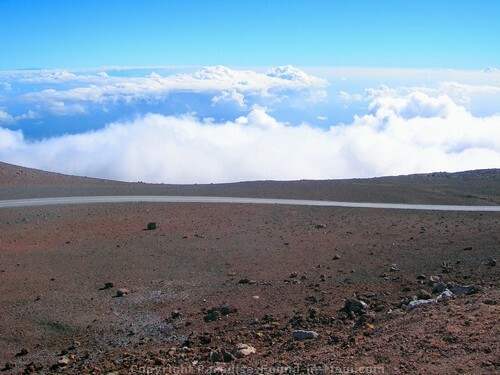 At 9740 feet above sea level, you'll reach the Haleakala National Park Visitor. This is just before the summit and is where you'll get to see one of the best views of all: a massive crater, with cinder cones scattered throughout. 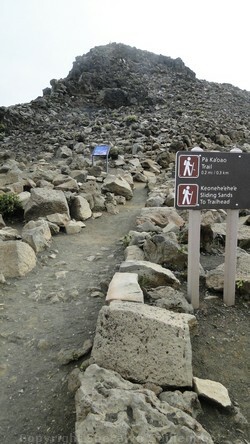 There are a few hiking trails that go into the crater such as the Sliding Sands Trail and Halemau`u Trails. Both are long (as much as 13+ miles), and considered difficult. Experienced hikers can research it and do it on their own. However, less experienced or novice hikers would benefit from having a guide along. One easier option is to hike only part of the trail, rather than doing the whole thing. You can also book a guided hike that will give you a taste of several trails through the crater. Just off the parking lot here you'll see a couple of trails you can follow. 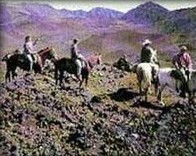 There aren't many places in the world where you can ride into a volcano crater on horseback, but this is one of them! The nice thing about going on horseback is that you don't have to worry about the exertion of hiking on foot - at this altitude, hiking is hard on you if you aren't used to the thin air. Pony Express offers a 7.5 mile guided ride that takes about 3-4 hours. 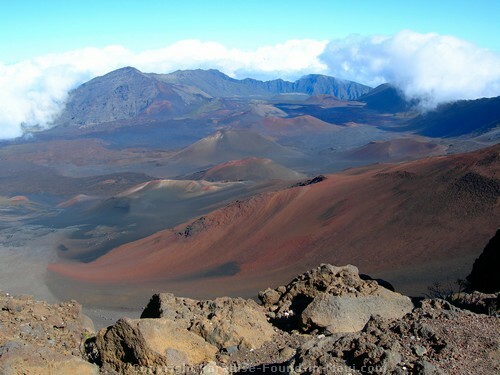 When you finally reach the Haleakala summit at an elevation of 10023 feet above sea level, you'll be rewarded with a breathtaking view. It's particularly incredible if you catch it on a sunny day. You feel like you're at the top of the world! 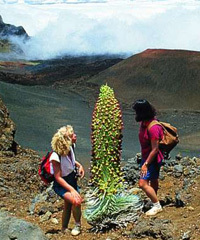 In the summit parking lot, you'll see a garden of sorts, and it's full of nothing but Haleakala Silversword plants. 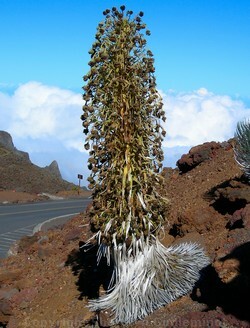 The silverswords are an endangered species. They are all the more precious because the only place in the entire world that you can see them is at Maui's Mt. 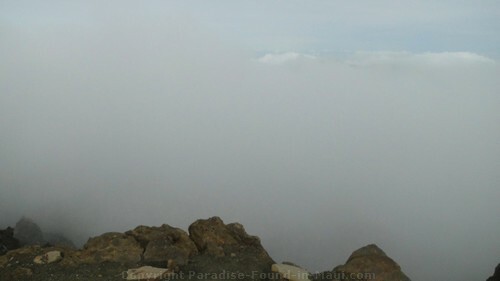 Haleakala summit. Don't walk too close to the silversword though - the shallow roots are vulnerable to being crushed and damaged if you do so! As you wander around the summit, you can't help but notice the futuristic-looking observatories further up the road. 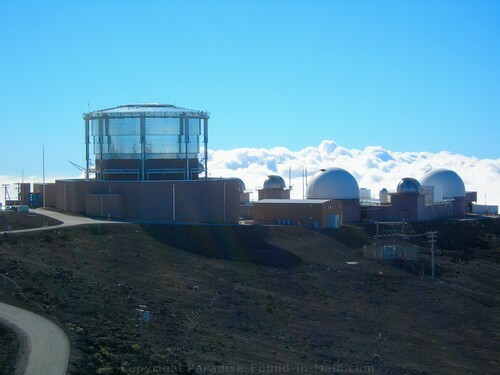 Unfortunately, these observatories don't offer tours to the public, so all you can do is look at them from afar. 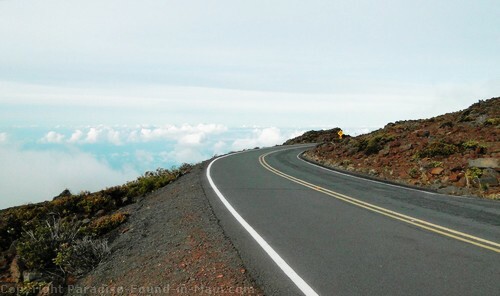 1) There is no food, beverages or gas available once you enter Haleakala National Park... so make sure you stock up on supplies before you head out. 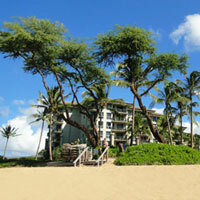 We found it most convenient to stock up on supplies in Kahului. 2) Restrooms are available at the Haleakala Visitor Centers located at 7000 and 9740 feet above sea level. 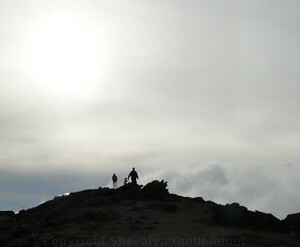 3) The temperature at the Mt Haleakala summit can be significantly cooler than the temperatures at sea level. Bring a pair of long pants and a jacket to slip into in case you get cold. 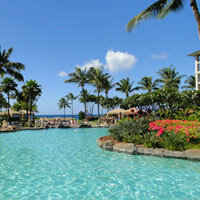 Warm clothes aren't exactly the first thing that comes to mind when planning a Maui vacation, but trust me, you'll be glad you brought them along for this outing! 4) Bring some cash with you to purchase the mandatory $10 pass at the entrance to the park.